We are a new and enthusiastic company located at the popular and charismatic Goodwood Aerodrome, Goodwood , Chichester, West Sussex. 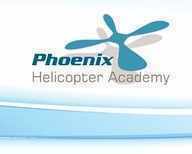 Although we are a relatively new company our instructors are not and our entire philosophy is aimed at Helicopter pilot training. We are specialists in Helicopter Flight Training whether you are looking for that perfect helicopter gift flight or the start of a new career we are here to help.